Home Pastors Articles for Pastors Where Have All the Evangelism Conferences Gone? Kevin Harney is doing a great job, and I was glad to be small part as a speaker. Kevin has written a series of helpful books in this theme. He’s helping people to focus on evangelism again. But, my article here is to point out that evangelism has fallen on hard times—and conferences have as well. Yes, some denominations still have them, but they seem to be shrinking in attendance and enthusiasm among many who do have such conferences. 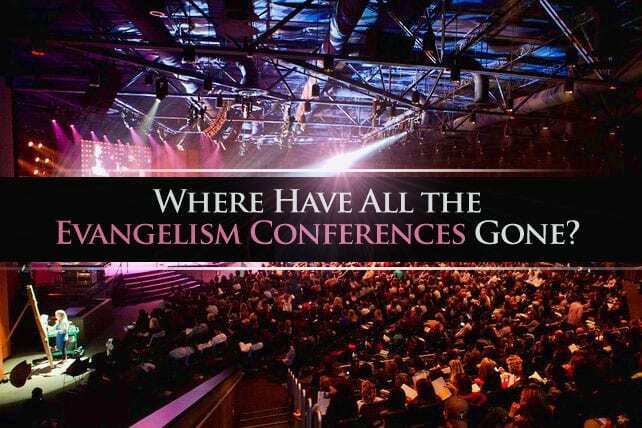 Now, I don’t think more evangelism conferences are always the answer, but the lack of many is a symptom of a larger problem. Or, maybe the bridge illustration. Yet, and there is the point, most people I know are more likely to roll their eyes at the tools, rather than use them. But, they don’t have an evangelistic alternative—all they have is an evangelistic angst. And angst does not help. The tools may seem outdated, unhelpful or cheesy to you, but the Roman Road is probably more effective than rolling your eyes. And before you make assumptions, be sure to take a look at what Evangelism Explosion has done recently. Next articleFree Kids Series: "#SelfieSwitch"